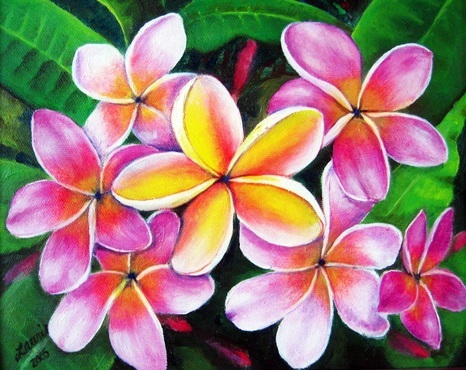 Please contact me for more information and prices ~ laurier808@gmail.com ~ Thank you! 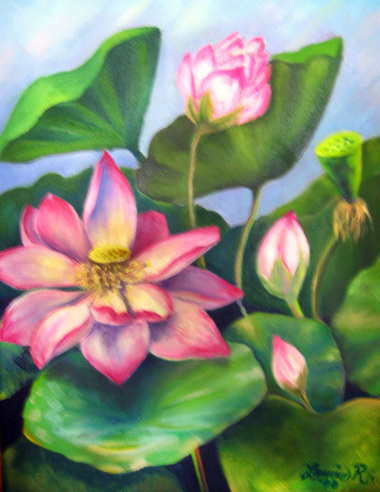 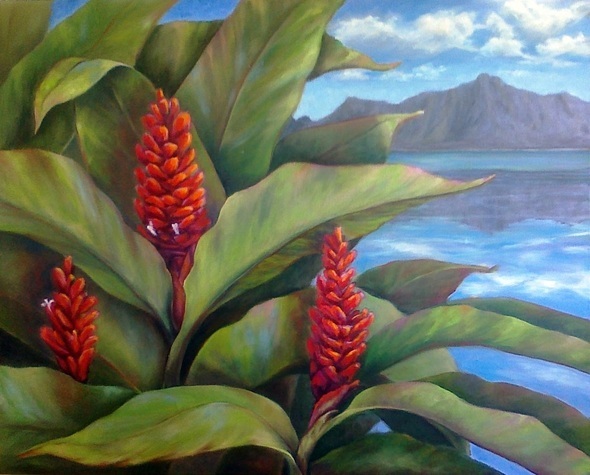 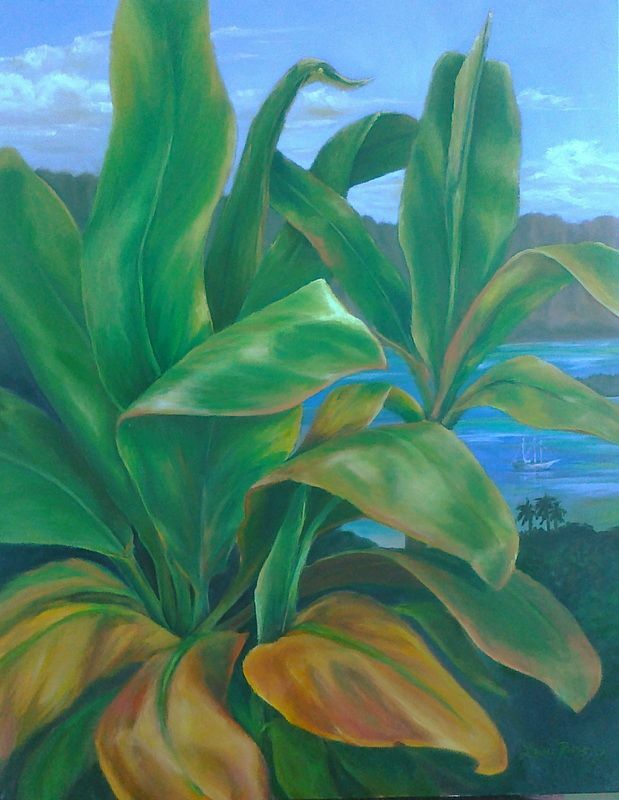 In this little painting, my desire was to do a bit of 'nostalgic Hawaiiana'. 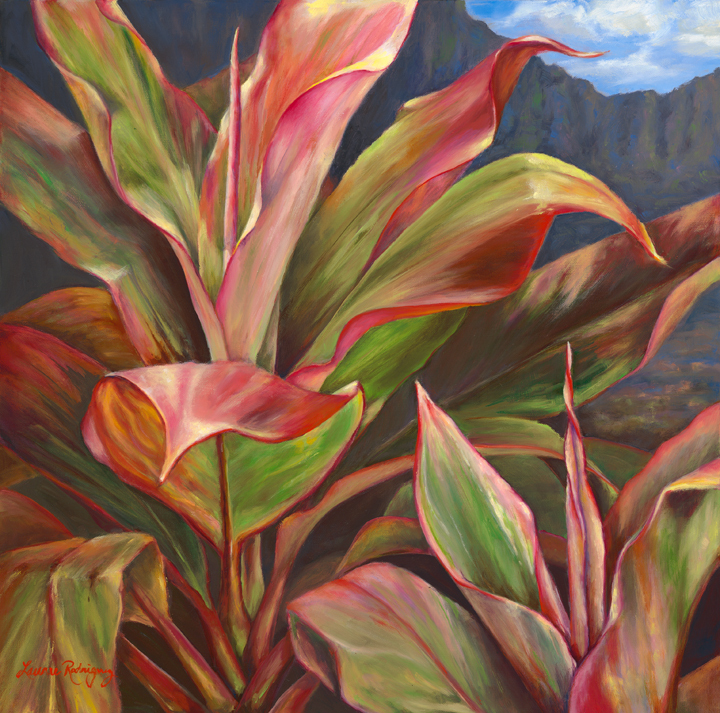 I wanted to capture the romance and feel of old Hawaii with color and style...don't know if it conveys that to you - but it was fun to paint and I think pretty to look at. 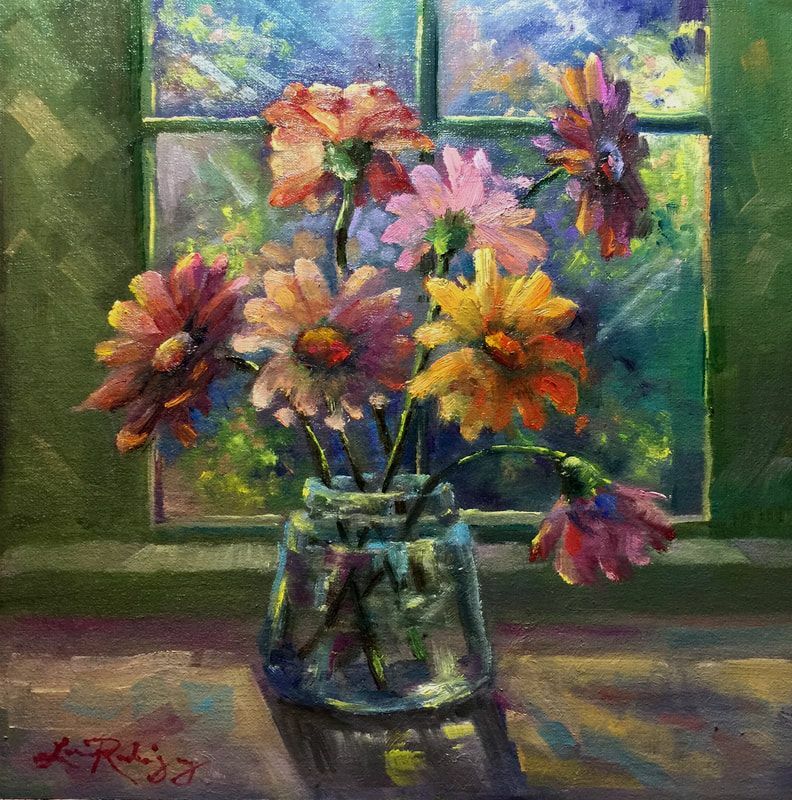 I am hoping the light in the flowers 'lift your spirits' as it does mine. 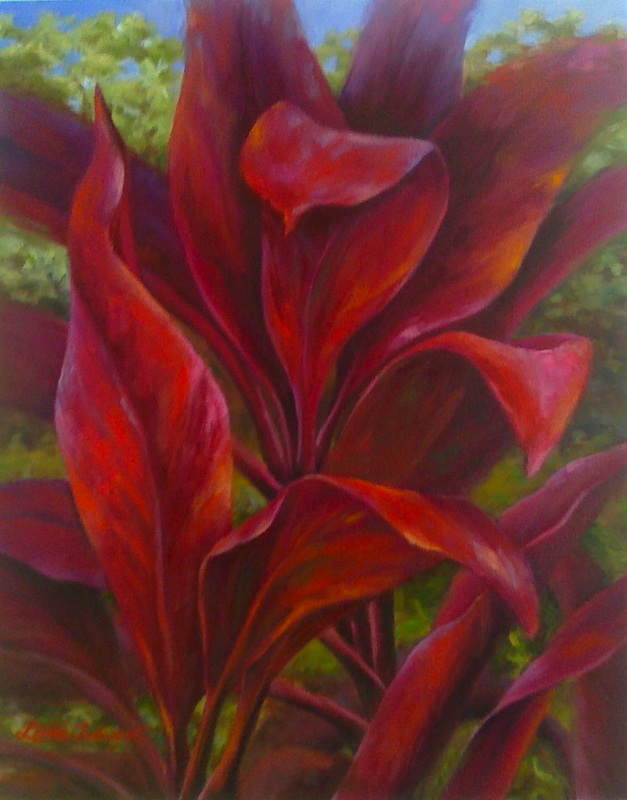 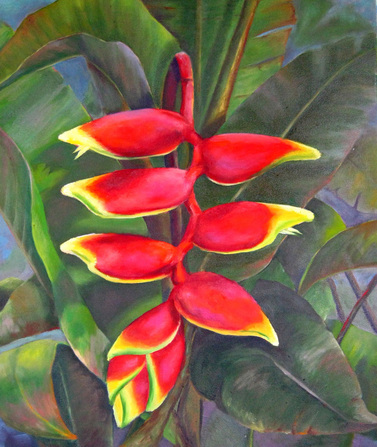 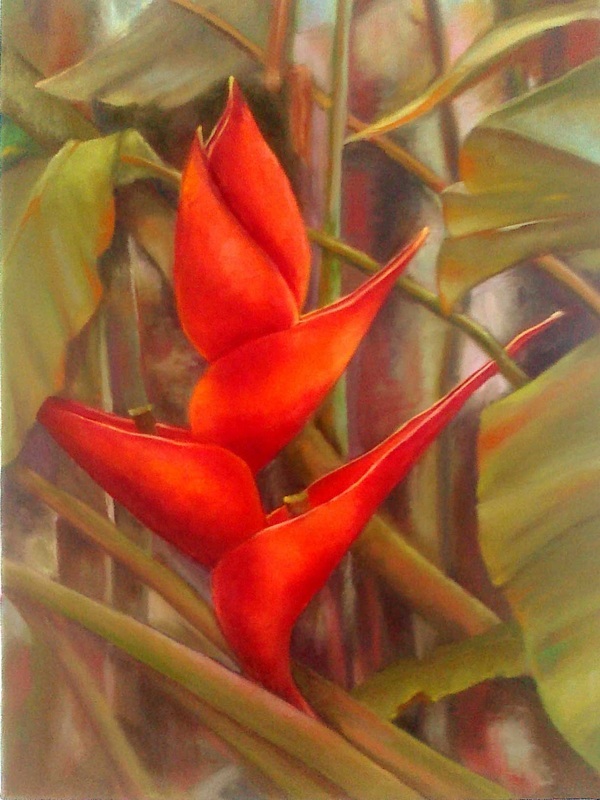 This is one of 3 Heliconias that I painted. 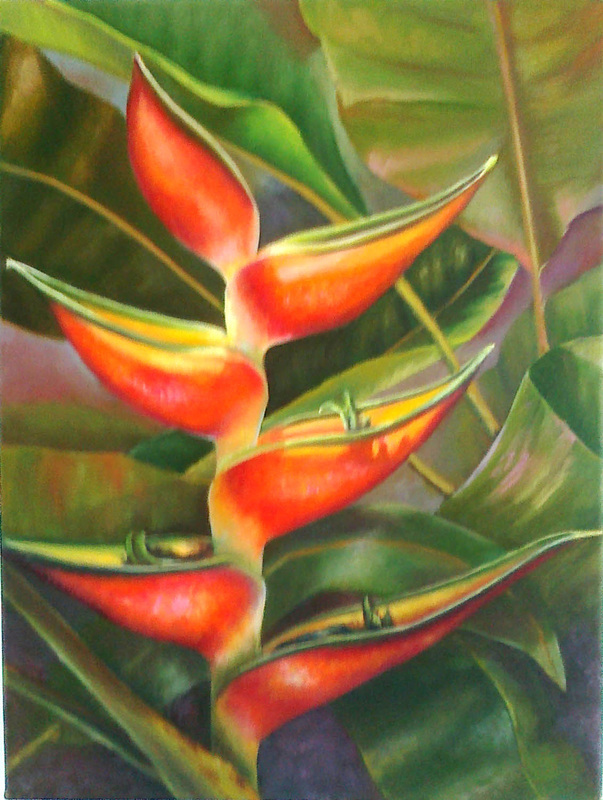 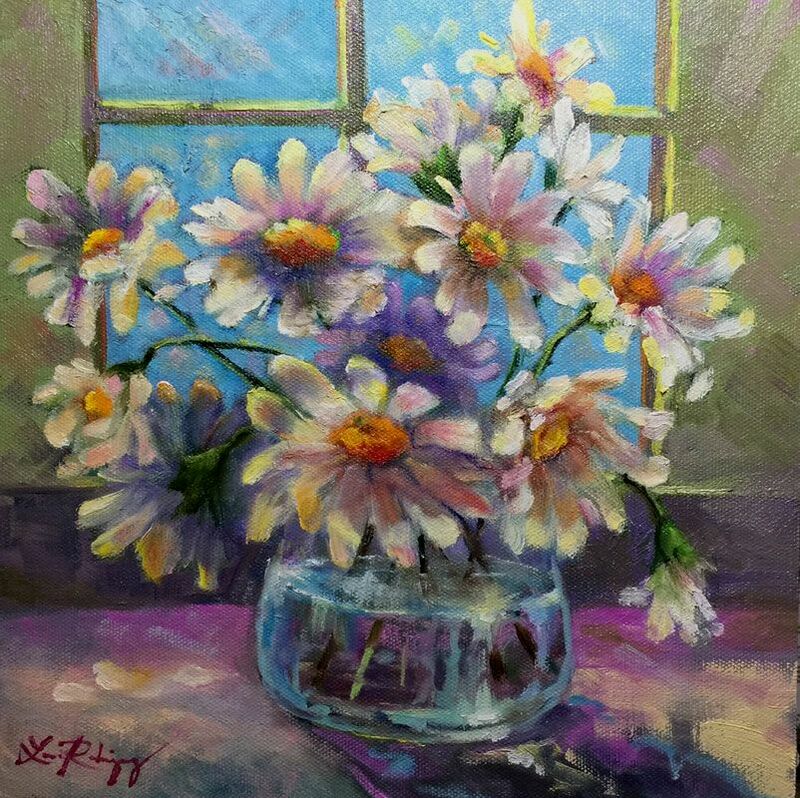 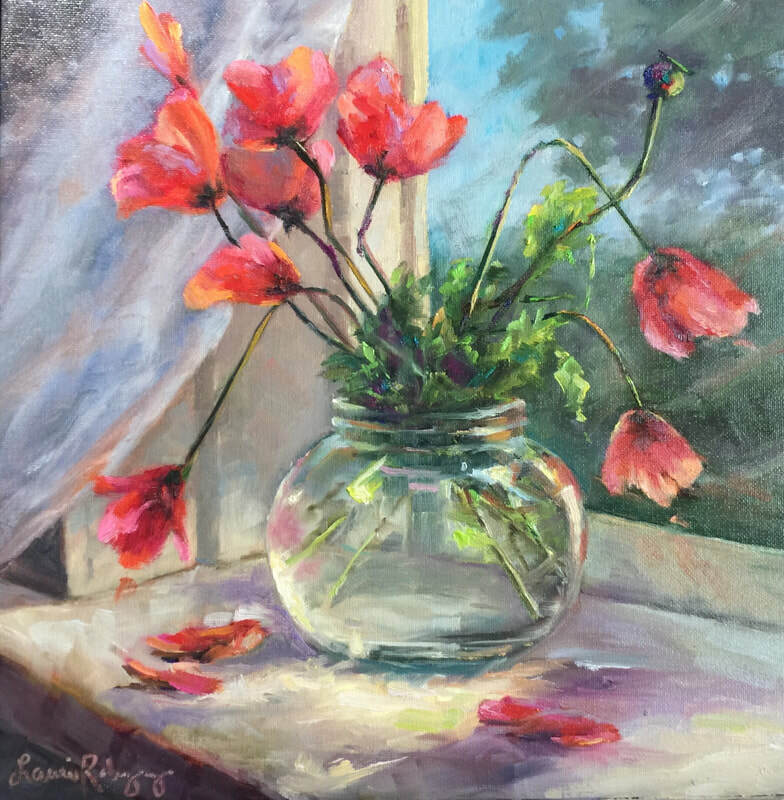 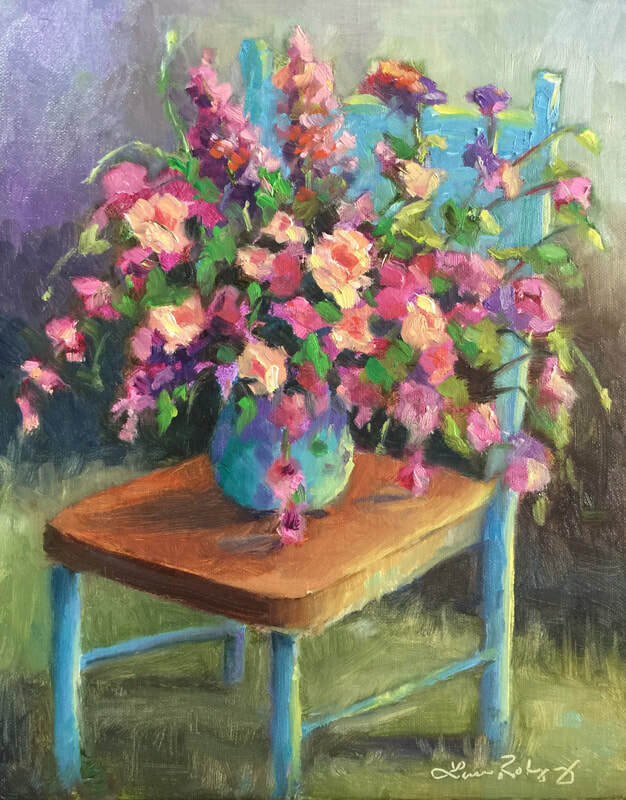 It is done in oils on a 12" x 16" canvas. 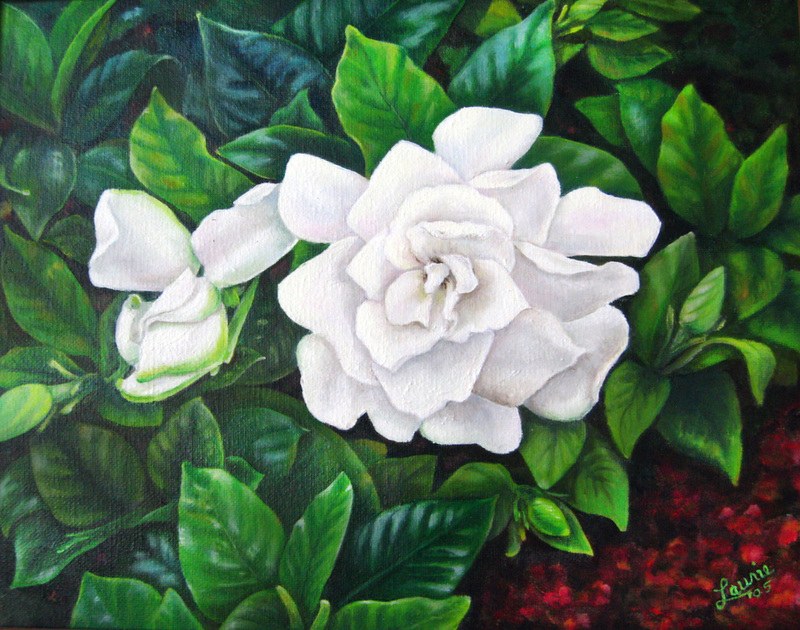 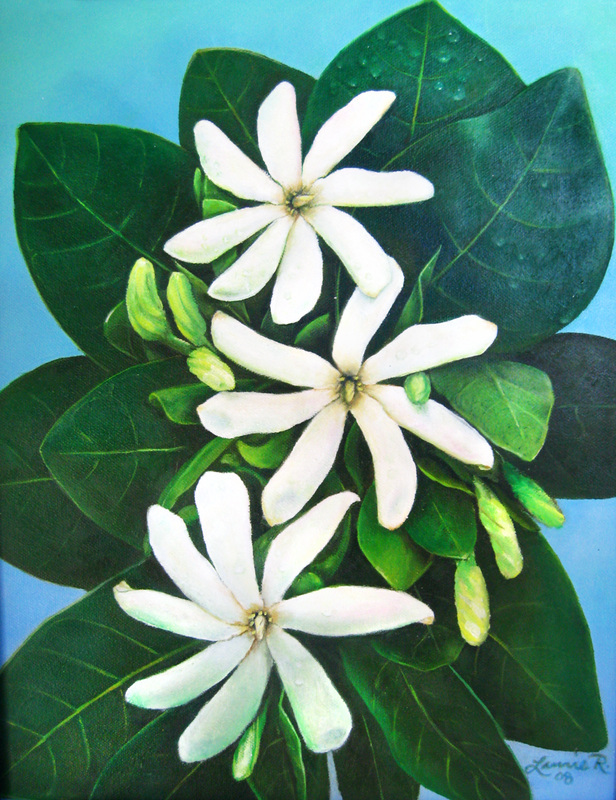 I painted this for my Dad for father's day...whenever I visited him at his home in Kailua, he would give me a gardenia from the gardenia bush in his front yard. It was so endearing to me to see him rush out to pick a couple of flowers before I got in my car to leave...how cute is that?? 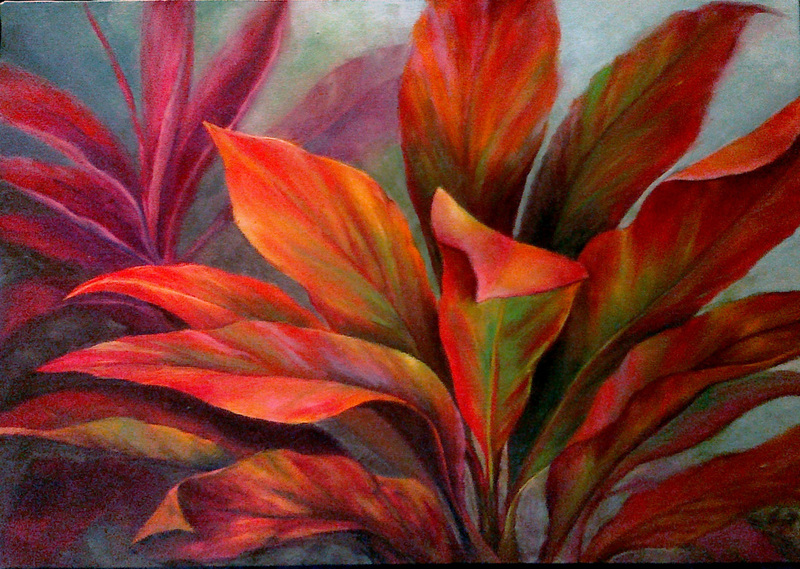 I used Genesis Paints on a 12" x 16" canvas.